Internet is a magical bank filled with hilarious, emotive and inspiring videos. For a better experience to watch videos, you may download and enjoy them with ad-free. As is known, most of online videos cannot be directly played on PC/Mac and mobiles in that the format like FLV, WebM is incompatible with system media players. 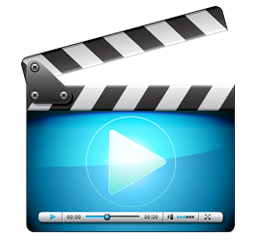 So, it is necessary to seek for a helpful tool to free convert online videos to supported formats by PC/Mac/Mobiles. Here, I will list the 2019 top 3 free online video converters for reference if you have no idea about how to pick out the best free online video converter. 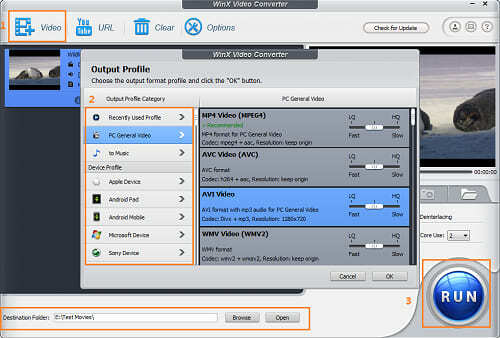 WinX Video Converter/for Mac - Free convert online videos to AVI, MOV etc, for PC/Mac at the fastest speed. WinX Video Converter is one of the best free online video converters to convert plentiful videos and divers high quality. With tons of video & audio codecs, it is competent to free convert online videos to universal video formats AVI, MOV, WMV, MP4 etc, audios MP3, AAC etc, and nearly overall portable devices, even the latest models, such as iPhone, iPad, Samsung, HuaWei, HTC, Google Nexus, Xbox, PS3/4. Due to the concise and straightforward interface, WinX Video Converter enables you to easily get how to convert videos even without a guide. It supports numerous output formats, incl. 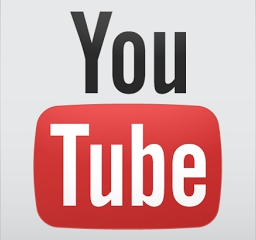 PC/Mac general videos, Apple/Android/Microsoft/Sony/BlackBerry devices, Web videos, DVD and music profile. Also, you can edit and adjust parameters according to your requirement during conversion. Moreover, the technologies, High Quality Engine, Deinterlacing, Safe Mode, Multi-core utility output more clear images at a high speed and guarantee that videos can be successfully converted without any errors. Any Video Converter Free is rated as one of top 3 free online video converters for its capacity to free transfer online videos to PC, laptop, Apple/Android smartphones/tablets etc. Equipped with video editing tools and a media player, you can trim, crop, rotate videos, add subtitles for videos, preview videos and customize video parameters as well. Any Video Converter Free offers a very simple way to free transfer online videos to popular video formats, such as AVI, WMV, MOV and so on, and DVD/audio profiles. Certainly, it can output video formats supported by plentiful portable devices, iPhone, iPad, Samsung, Sony PSP etc. But, it doesn't support comprehensive device models, such as latest Samsung Galaxy Note 4/Edge, iPhone 6/6 Plus etc. Any Video Converter Free is not totally stand-alone that AVG PC TuneUP will be installed by default if you don't select custom during installation. The other point you may dislike that message to upgrade free edition to ultimate version will be shown once conversion is completed. Freemake Video Converter focuses on converting online videos to AVI, MP4, WMV, MKV, iPhone, iPad, Andriod phones and MP3 audios. Built-in preset editors, it enables you to customize video & audio parameters, e.g. codecs, resolution, bitrate, frame rate and edit videos by cutting, joining, rotating and adding subtitles. Freemake Video Converter performs basic tasks with a simple interface so that you can learn how to use it with no effort at all. On the bottom, all the output formats are presented, containing general videos and audios, formats for mobiles and webs. However, it has least output profiles supported among the top 3 free online video converters. 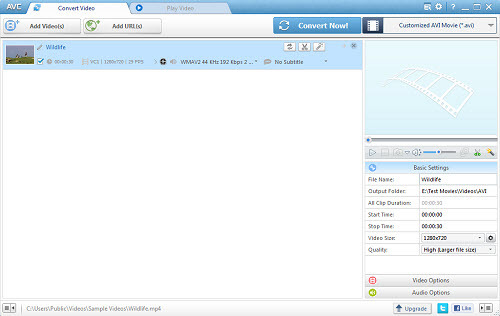 Comparing with Any Video Converter Free, Freemake Video Converter is bundled with more adware. Besides AVG PC TuneUP, it will ask you to install AVG Toolbar or WinZip Pro and set AVG Secure Search as browser homepage. From above reviews, you can find that WinX Video Converter is the best free online video converter because of brilliant features: friendly interface, ease of use, various output formats support, stable performance, and 100% safe & clean without any third party software bundled. 1.Click "Add Video" icon to add the downloaded online videos. 2. Output Profile dialogue box pops up the moment video is added to convert list. 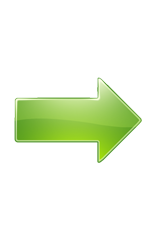 Choose video type from category column and select particular format, for instance, PC General Video – AVI Video. 3. Set destination folder and hit RUN button to start online video conversion. • Download 4K/HD/SD videos from YouTube, Vimeo, Dailymotion, Vevo, ESPN and other 300+ sites in a flash. • Convert online/local videos to MP4, AVI, WMV, MOV, FLV, 3GP, iPhone, iPad, Android, Windows Mobile, Xbox, PS3/4 etc, at a superfast speed. • Edit videos: trim, crop, flip, rotate, merge, split, add watermark, add effects, add subtitles, stabilize viddeo, fix fisheye, sync video and audio and so on. BEST URL Converter for PC/Mac | Convert URL to MP4, MP3, MOV etc.